Following the Saturday of Lazarus Liturgy parishioners filed into the church hall and strips of Palm are distributed. There the tradition “how to make a palm” continues its path to the next generation. Palm Sunday is an ancient holiday of the Christian Church that marks the day that Jesus entered Jerusalem for the Passover feast just prior to his death, burial, and resurrection. According to the gospel accounts, Jesus deliberately fulfilled the words of the prophet Zechariah by riding into the city on a donkey. A Palm Cross is made from a palm bud and is called a frond. 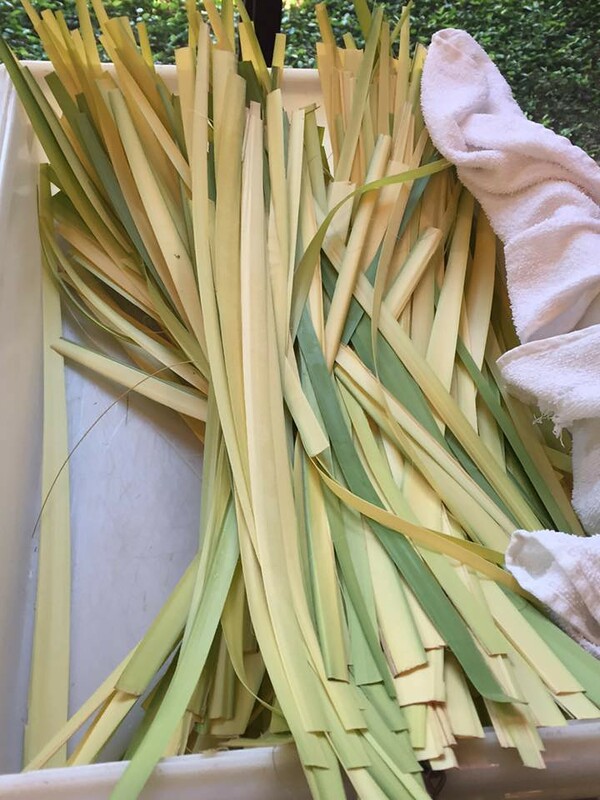 Often the palm fronds are knitted or woven into small crosses that can be kept by individuals in their homes. The material is often soaked first to loosen the palm. Huddled around the tables, parishioners look over each others shoulders studying the technique. Many are first timers and would be part of an experience they will share with the next generation.